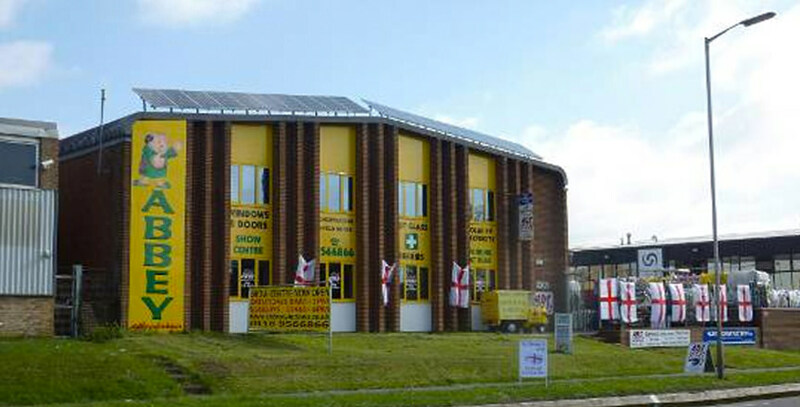 Here at Abbey Conservatories we’ve been providing our customers with the finest quality conservatories since 1986. With over thirty years in experience, we guarantee you a smooth, enjoyable experience when buying one of our conservatories for your Reading home. We’ve completed many successful projects across Reading, Wokingham, Bracknell, Henley, Basingstoke, Wallingford, Didcot, Newbury, Maidenhead, Windsor, Slough and High Wycombe, which is why we feel confident we can deliver when it comes to designing and fitting a beautiful conservatory for your property. You will receive only the very best service from us here at Abbey Conservatories, as from design to installation we will be with you every step of the way. Building a conservatory often necessitates other work such as rebuilding a patio. Abbey can either assist or recommend other trades to you. Each of our conservatories is energy efficient, using state of the art solar control glass roofs, without sacrificing appearance. Your conservatory will be designed beautifully with you in mind, no matter the style, to add charm and splendour to your Reading home. Each of our conservatories is energy efficient, using state of the art solar control glass roofs, without sacrificing appearance. Your conservatory will be designed beautifully with you in mind, no matter the style, to add charm and splendour to your home. Our company prides itself on offering the highest quality conservatories in Reading and across the Thames Valley. With our competitive prices and 30 years’ experience in double glazing Reading homes, you can trust us to deliver superb results every time. We also offer a full electrics service from double sockets to TV points, external sockets, wall and fridge lights. With our extensive construction knowledge, we can fix any problems or hinderances along the way. Elevated or sloping gardens and any drains all have solutions which Abbey can explain and overcome. Get in touch today for more information – our friendly team are always happy to answer any question you may have. If you’re looking for online conservatory prices, start your no obligation online quote now to see a competitive price that will suit your specifications! With a wealth of accreditations from respected trusts and associations including FENSA and the Double Glazing Network, you can trust Abbey to provide spectacular results alongside a consistently high-quality service, that always comply with current building regulations. Abbey Conservatories are a proud FENSA registered installer, which means that you can trust us to handle your installation in a reliable, safe manner, always keeping up to date with current building regulations. It’s important to always choose a FENSA registered double glazing installer, to achieve greater protection when completing home improvements on your Reading home. With a superb rating of 9.8 on Checkatrade, we can guarantee you an excellent service that does not only involve a fantastic finished product, but is completed in a polite, punctual and tidy manner. We are proud to have such a good score on Checkatrade, as this means we are highly recommended by our customers as double glazing installers that provide a consistent, high quality service. We are proud to be accredited by the Trading Standard’s ‘Buy with Confidence’ scheme. We are verified as being a fair business that will deal with any problems or queries you may have fairly and reliably. Choose Abbey for a conservatory installer that is verified as operating in a legal, honest way. As a Double Glazing Network member, we are verified in providing the high quality products and installation services. We are proud to sell approved, high quality products for your Reading home that will look good as new for many years to come. The Double Glazing Network only accredit the most respected installers in the industry, which is why we are very proud to be one of their highly regarded members. We are passionate about our influence on the environment, which is why we are delighted to share a commitment with the Energy Saving Trust that helps reduce our impact on climate change. Our products are 100% lead free, and are always manufactured with our environment in mind. We are passionate about reducing our impact on the world around us. As accredited by the Consumer Protection Association, we can guarantee that we are highly trusted in our industry to deliver an excellent service with no hidden worries or unnecessary concerns. By choosing Abbey Conservatories you’re guaranteed complete consumer protection before, during and after your new conservatory installation. We are proud to be Which? Trusted Traders and official Ultra Installers, offering our customers the very latest in innovative products from Ultraframe, alongside professional installation teams with unrivalled experience. We have subsequently passed stringent standards set by Which? to ensure that we comply with the very highest standards. 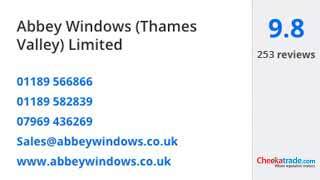 This gives our customers the peace of mind that they are in safe hands with Abbey Windows.